2011 was great, I expect 2012 to be even better. I have a feeling many good things are coming with the new year. 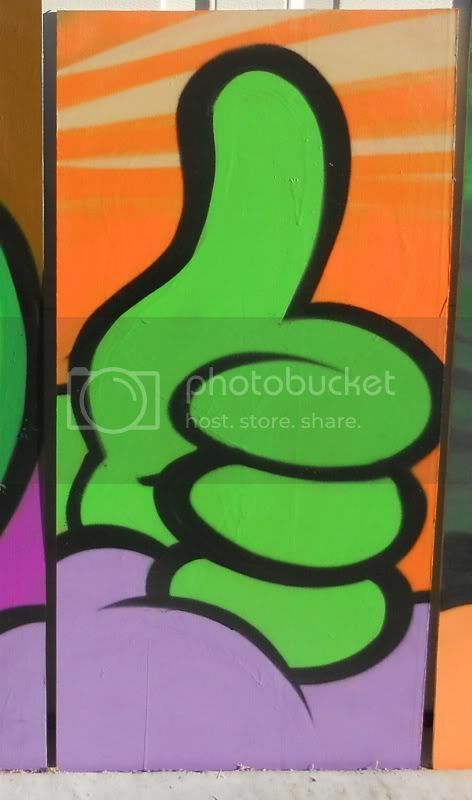 First a big Thanks to Alisha from Houston, TX for signing up and winning the Monster painting from December free art!! Congrats! 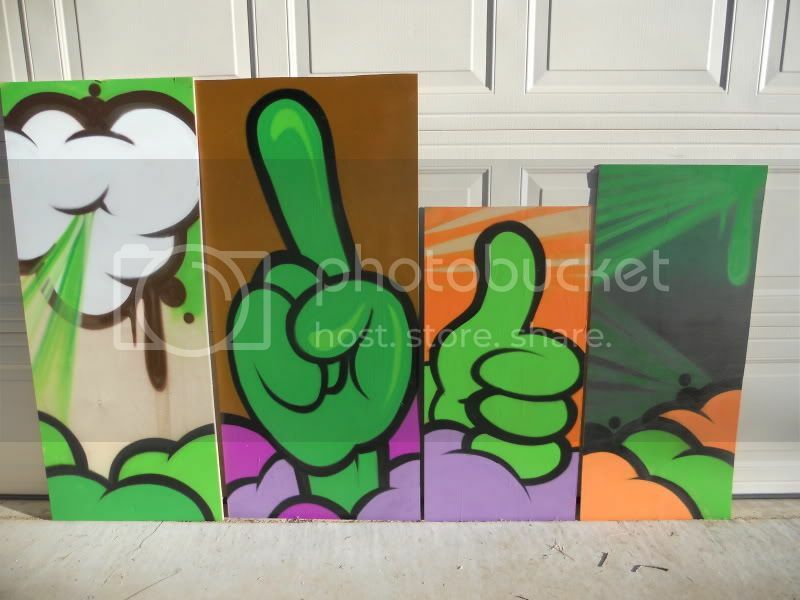 For the first month of the New Year I am offering up a 17″ by 33″ spray paint on wood piece. It is from a short series of paintings I did late last year. Once again it will come to you framed and ready to hang. or send an email with your name and the words “Free Art” in the subject or message to yo@iwishthatitwouldrain.com. At the end of the month, there will be a random drawing. If your name is drawn, you win! I will then send you an email asking for details on how you would like to obtain your new piece of art! I will cover shipping to the Contiguous United States. I am more than happy to ship elsewhere, but have to ask for some compensation. For more info and all the details about the free art project click here. Emails for this piece will be accepted up to 11:59pm CST on January 31st. I will draw the name and the winner will be announced within the next day. 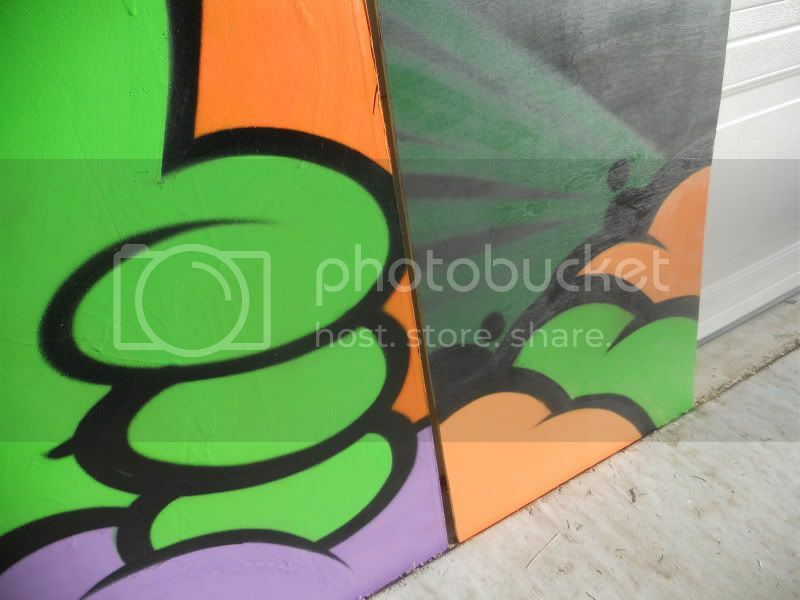 This entry was posted in Art, General and tagged cartoon hands, fine art, Free, Free Art, free fine art, free free free, free stuff, Graff, graffiti, Ironlak, Jake Beeson, spray paint on January 1, 2012 by yo moms.